The London artist tells the story behind her new album, Devotion. People who live in the UK love to talk about the weather, and England has spent the summer sweating. When I FaceTime with Tirzah, she's taking advantage of the late afternoon cool-off, sitting in her mom’s backyard in South London, the birds tweeting as we talk. In recent days, the singer has turned 31 and moved from Ladywell with her partner Kwake (who's also a producer and musical cohort of Sampha) and their baby. “She just came along and there is nothing better, she’s beautiful!” smiles Tirzah, speaking of their 8-month old child. The couple are currently searching for a permanent spot, but Mom’s house is their temporary home until then. Amid this upheaval, the singer’s also been juggling the run-up to releasing her debut album, Devotion. “I don’t know what we were thinking!” she exclaims while laughing at the timing of it all, possessing a thoroughly un-fussed, extremely chill demeanor. Her music comes from a place of experimentation, friendship, and a joy for creation unfettered by a timeline or accompanying social media strategy (she has made, to date, only two Instagram posts). She's been making music with her best buddy Mica Levi (otherwise known as Micachu) since meeting as 13-year-olds at Purcell music school on the outskirts of London. At the time, Tirzah was studying harp. 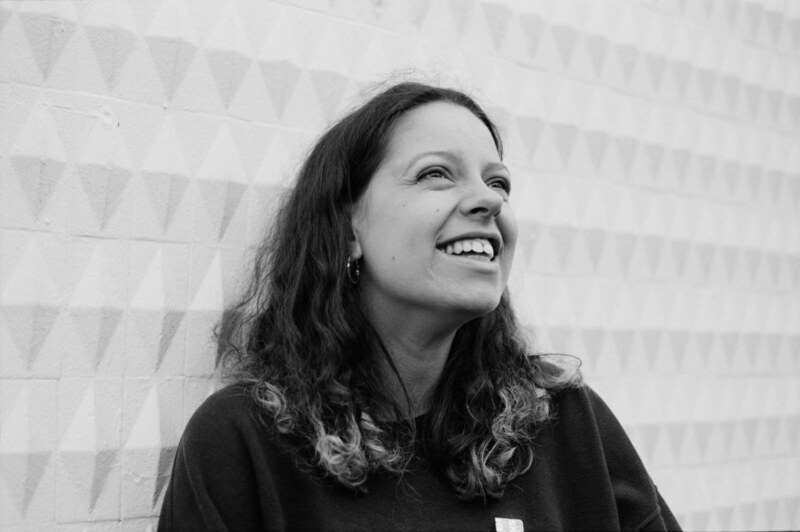 Mica — or, Meeks, as Tirzah calls her — went on to make music as Micachu and the Shapes and score a series films (including Jonathan Glazer’s Under the Skin), while Tirzah studied textiles at college, eventually landing in print design for a fashion company. The creative dynamic between the two has remained steady since: Mica makes the music and Tirzah freestyles vocals. Their 2013 debut single “I’m Not Dancing” is a gloriously off-kilter weird-pop song that clatters and boings, clocking in at just over two perfect minutes. It was also a surprising underground success: Cobbled together at the end of a day’s recording, Mica popped the song on a CD-R and played it out at Shoreditch club Plastic People later that night. Hot Chip’s Joe Goddard happened to be there, which led to the I'm Not Dancing EP seeing release on his left-field dance imprint Greco-Roman, as well as the No Romance EP the following year. 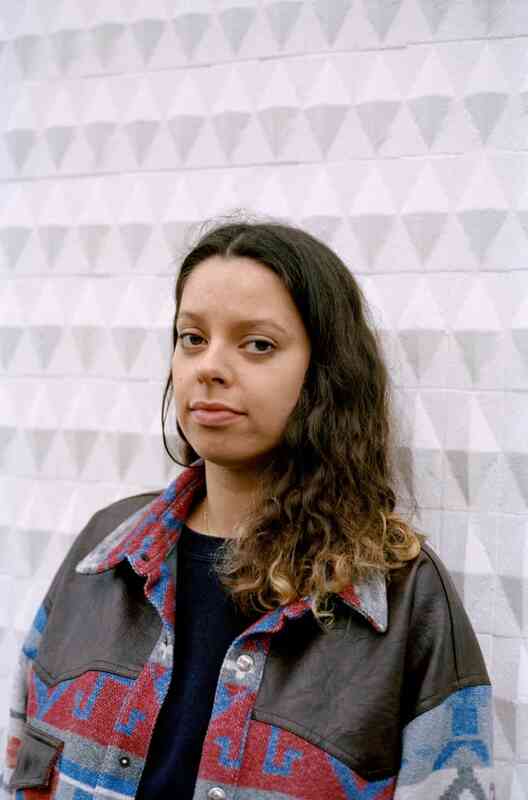 Devotion might be seeing release under Tirzah's name, but the project — which Tirzah dubs “wavy soul” — is a 50/50 collaboration between her and Mica. The album swirls with intimate, downtempo sonic sketches and hypnotic loops, as Tirzah’s loose, lush vocals concern themselves with the push and pull between lovers. With its distorted guitar riff and layered vocoder, “Guilty” feels like the duo’s greatest departure, while the title track, with guest vocalist Coby Sey, is the album’s melancholic standout. 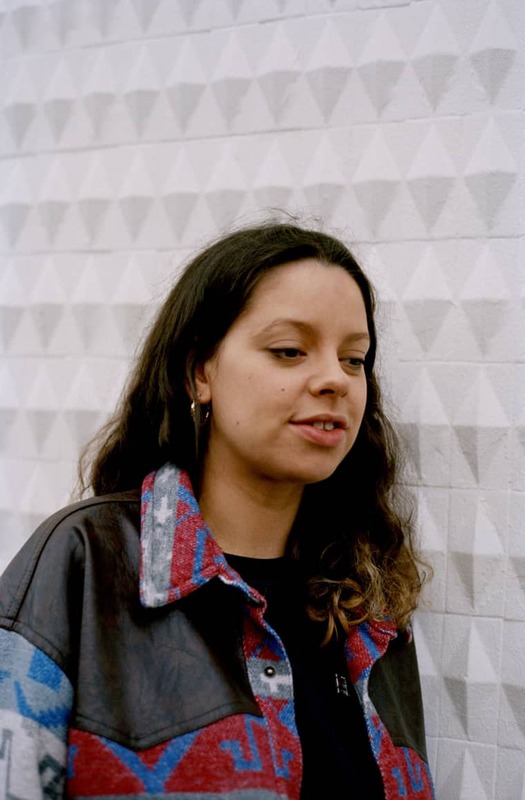 Sometimes, the sonics feel submerged — aquatic, even — but Tirzah’s vocal tones always come through as each song’s dreamy focal point. Your lyrics are pretty vulnerable. Do you ever feel too exposed? You’re in your own little world with your friend—you’re in a safe place—and you don’t really realize until you’re listening with someone else! After that you have to accept it or just bury it. What your first impression of Mica? It was my first day at school. She was wearing a Green Day top and she had big curly hair. Meeks played her guitar loads, and we made up a silly song together. We just enjoyed goofing around. Do you think about the way you present yourself visually and in your videos? It wasn’t something I thought about at all! It’s only afterwards when you’ve done the music and you’re doing the gigs and you think, Oh yeah, I guess it’s helpful to have a visual that can get your point across or help people connect. I know it’s a really powerful tool, but I sort of wasn’t bothered about it because I just wasn’t bothered! [Laughs.] Maybe, just now, I’m enjoying trying to pair the two. Whose opinion do you trust most when you have musical idea or conundrum? All my closest friends and my partner. But to be honest, anyone really! Everyone has a different take on something, so nothing is right or wrong, it’s just a nice thing thing to be able to discuss music with anyone. If they share a love for music then you’re going to have something automatically engaging to talk about. What makes your partnership with Mica work? It feels like an extension of us being friends. We can bounce ideas around and there’s that history of us knowing each other for so long. We’re open to anything. No. Maybe that’s a bad thing. Maybe it’s coming. Some explosive drama! How did Kwes come into the frame to co-produce and also his brother Coby Sey to sing on “Devotion”? Firstly they’re great friends and great musicians, so just having them as friends to work with—that’s a real luxury. It didn’t feel like a labored decision, it was more like, Of course we’ll bring them in because they’re mates and we trust them and rate what they do. Lyrically where do you pull from? It’s a real mixed bag of experiences and observations, from myself, my friends. It was a lot of just doing it and leaving it and sitting back and finding some sort of realization afterwards. The songs have spanned years. “Go Now” is the oldest one on the record which was recorded in our mid-to-late teens, but it’s had quite a few facelifts. Initially it’s the really solitary element of it where you’re doing something and you don’t know what’s going to come out of it. And then secondly, knowing it’s connected with someone is a really nice thing. In the past you mentioned that Plastic People was your favorite club, but like so many clubs in London, that’s now closed. Where is good to go out nowadays? Bussey building in Peckham has hosted a bunch of Curl nights — which is a collective set up by Coby and Kwes. It’s a really nice space for people to be relaxed and improvise and play whatever they’ve been working on. That’s where I would gravitate. Have you ever made music with you partner Kwake? We haven’t. I think it’s something that would give us the giggles, we’d enjoy doing it, but it’s never been like we must get in the studio together. What’s the story behind “Basic Need”? Honestly, it’s really hard to pinpoint where my head was at. I imagine it was from observing a relationship that was in desperate need of ending, so you have to compile it down or simplify it to an everyday need that you have, like bodily functions, mental associations. What’s your biggest non-musical influence? Probably mother nature. I can just sit and wonder about it for ages! London is really nice like that, especially South London where there’s just so many parks. I find I really need that peace out from the city. I feel like I need it even more now. Wondering about mother nature, huh, that’s funny.